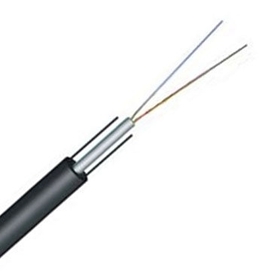 FlyingFiber’s GYXTPY FTTH cable provide 250μm fibers, are positioned in a loose tube made of a high modulus plastic. The tubes are filled with a water-resistant filling compound. Two parallel steel wires are placed at the two sides of the steel tape. 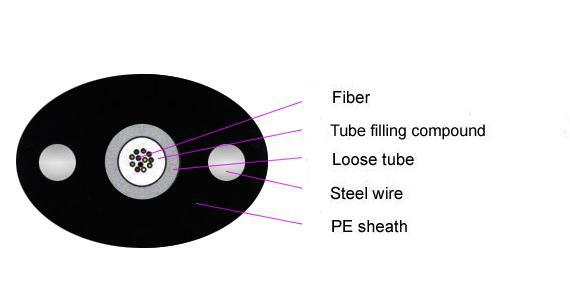 The cable is completed with a polyethylene (PE) sheath. 5). Inexpensive and can reduce operating costs. 6). Two parallel steel wires ensure tensile strength. 7). Small diameter, light weight and friendly installation.